Brand: Cupcake Creations by Siege SC-8815P Units: 30/pkg. 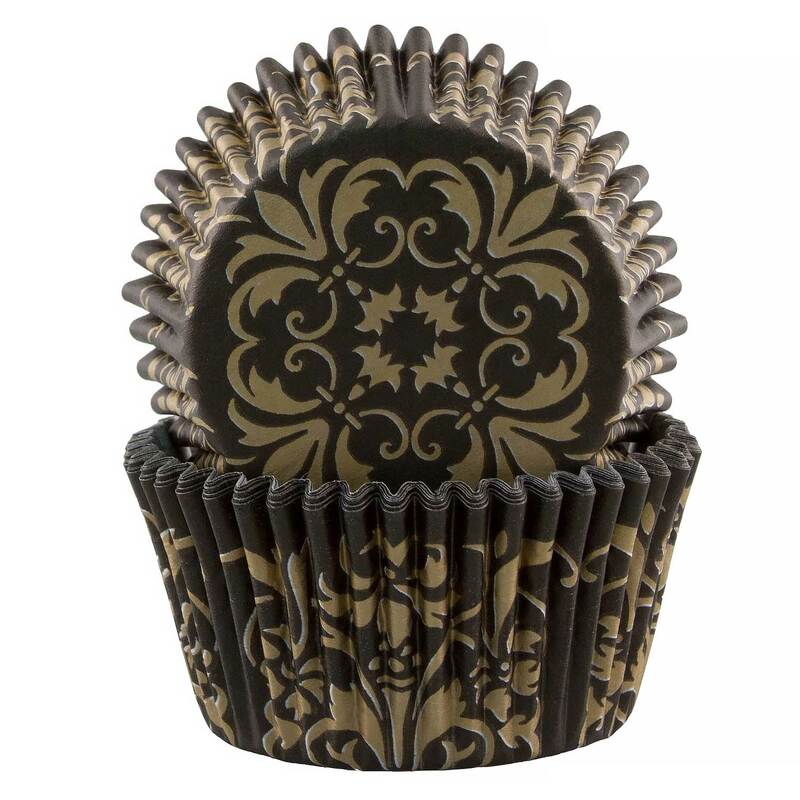 Dimensions: 2" base x 1⅜” wall Elegant and classic standard cupcakes papers in black and gold swirl. Elegant and classic standard cupcakes papers in black and gold swirl.